Measurement Tools: Count, Distance, Angle, Area, etc. 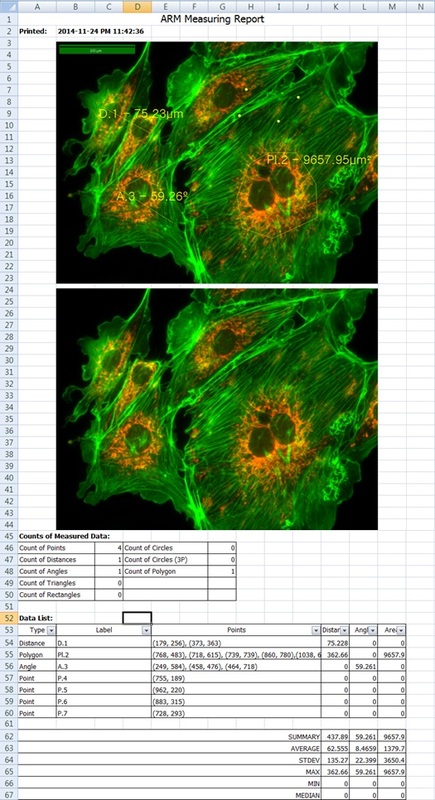 When you get fluorescence images using color camera, if the unwanted channel was shown because of cross talk, you could remove this channel to take advantage of function of Live Pseudo. 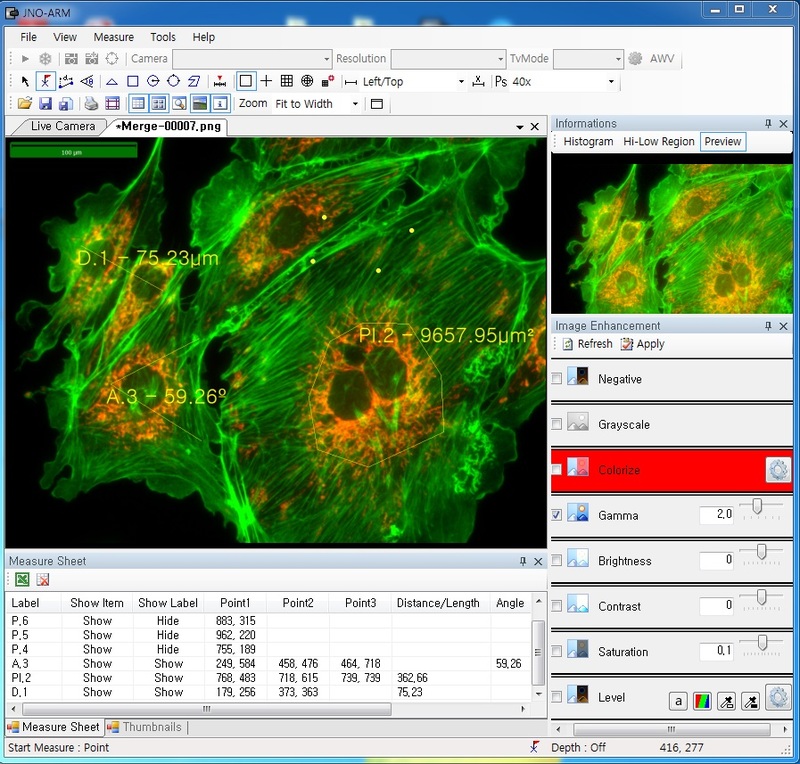 When you get fluorescence images using monochrome camera, you can raise efficiency of acquisition for fluorescence images to add similar false color to the color to be shown on the eyepiece in real time. ※ JNO-MHU is sold separately as optional unit.